The first round of the Endesa League is over. Barça Lassa beat Baskonia (73-82) in a great match which was decided in the fourth quarter. Although the visitors were behind early (12-5, min 5), thanks to rapid circulation of the ball and the success from the perimeter with two triples (one from Pangos and the other from Claver), the Blaugranes ended the first quarter just four points behind (19-15). A swift exchange of points set the tone in the first stages of the second quarter (26-19, min 13), and a triple from Singleton as well as some defensive intensity from the Blaugrana, kept them in the game at the break (38-36). 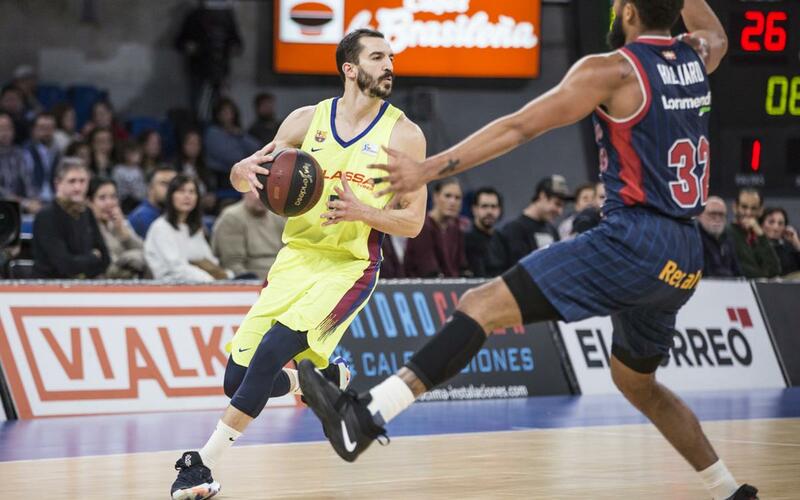 Both teams upped the rhythm in the third period, and thanks to Pangos’ triple and Seraphin’s solidity, Barça Lassa were soon level (51-51, min 25). In the last minutes of the quarter, Pangos’ superb game management saw the visitors edge ahead for the first time (61- 62). Misses at the basket from the home team during important moments in the final quarter finally handed Barça the definitive advantage.